Remember… We’re going to live a quarter to a third of our lives in the wonderful period we call the Golden Years. Don’t make yourselves miserable, but don’t wear everything out before you’re fifty. So what would you do if you knew you were going to get arthritis in your hands (and many of you are)? Remember… We’re not creatures that tool around on all fours, and that’s why we shouldn’t make our hands into weight bearing stumps. Limit pushups, and other exercises that train you to be a four-legged animal. Don’t grab things hard when it’s not necessary. Knock jars against cabinet tops and open them with the palm of your hand. Consider using a rubber jar gripper pad to help. Don’t wrestle with tenacious bags and tape. Use scissors and box cutters. Get rid of heavy books. Use your Kindle or iPad instead. Don’t pinch and squeeze hard plastic bottles and tubes. 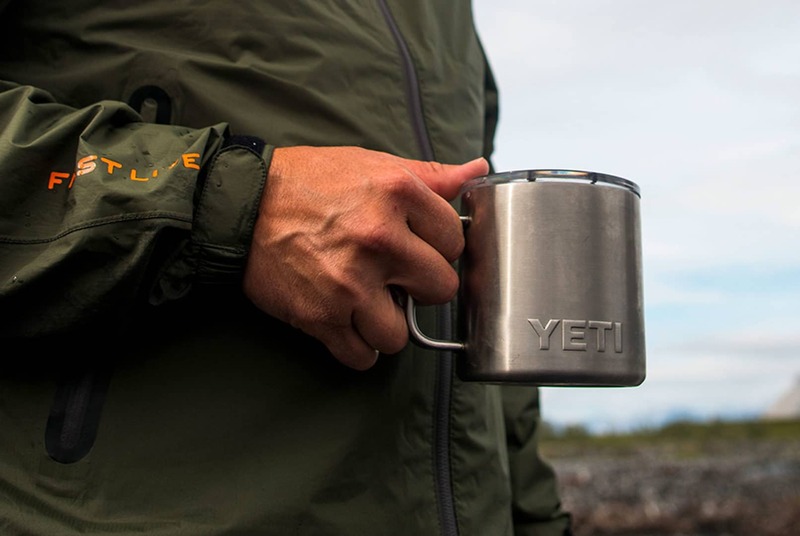 Don’t use big, heavy “Yeti” cups. Get reusable cups with handles instead. If you already have arthritis in your hands and wrists, then you know all the activities I’ve listed already hurt. So stop doing them! Don’t work through that pain. If I told you, today, that you only have 1,000 squeezes left in your thumb or 500 twists with your wrist, what squeezing or twisting will you cut out in order to make that joint last the rest of your life? Just be gentle with your hands… and like your mom said… Don’t be so grabby. Wow I never thought about this but how true and needed reminder! I had carpel tunnel surgery on both hands and if I am carrying too many dishes or laundry I can feel a tug and adjust. Now I have to think that way with out the physical alert. I know! It’s amazing how many people do not think about modifying activities that hurt! Especially the ones that don’t affect the quality of our lives…like how we open a jar. The same holds true for other joints in our body. Be mindful of the things that hurt! Great advice. I was at the grocery the other day and the cashier packed the bag heavy enough to give The Rock pause. I had to ask her to use two bags, which she nicely did. I’m learning to be more aware of that stuff now and protect my wrists. -Watch out for people coming up behind you with grocery carts. They really hurt when they bang into your Achilles tendon. Yes, it happens all the time. -Next time you’re there, buy a box cutter and a rubber jar opener pad! I saw a rheumatologist for several years due to Raynold’s Syndrome. I have arthritis in my knee and beginning arthritis in my hands. My husband’s hand arthritis, meantime, makes even turning the car on with a key painful. I never was given any of this information. “Wow”. I know. I call myself Dr. No, because I tell people what NOT to do. Most doctors tell people what TO DO, and it’s often medications and surgery. Sometimes less is better. Thank you for this good advice, going to pass it along to my sisters! Fortunately, my hands and wrists are in good shape, now I will be extra mindful to keep them that way! Mindfulness is key. Don’t work through joint pain. Your ginger cookie blog reminded me of kneading dough, something which can really cause a lot of pain. Cuisinart Food Processor and Kitchen Aide Stand Mixer to the rescue! Amen, amen !!!!! Im a former Reiner that didnt always have nice horses and now a gardener who has pruned my thumbs to death!!! I have had bilateral arthroplasty of the trapezium with tendon transfers in 2017 and most recently 2/1/19. I would say take care of your joints and use proper technique and engage the fingers when you can with twisting motions to assist the thumbs. I was always the one who opened those hard to open jars for others- I was stupid and paid for the overuse- these surgeries get rid of the pain but never are your thumbs as strong as what nature gave you!!! Speaking of grocery shopping, one time I dropped a can on my big toe. I t split open and I bled all over the place. So now I always try to wear closed shoes instead of sandals when shopping. Also I saw a lady slip and take a bad fall in the parking lot when her rubber flip flops slid on a painted stripe on the asphalt. We should live more and worry less. I see so many try to carry as much as they can in grocery sacks. We are not pack horses. Movement with less load in my book keeps me healthy. If we become sedentary our health will degrade quickly. The trick is the right amount of movement with minimal balanced load. I also like to review my form and attempt to find different ways to play a chord that is different. This not only gives me diversity in playing but limits repetitious movement.